We are in Kentucky, the horse capital of the world and I thought we can’t come all this way and not check out a horse farm tour. As we’ve been driving to the golf courses we have noticed the beautiful rural properties with the horses frolicking beyond the typical horse fencing. 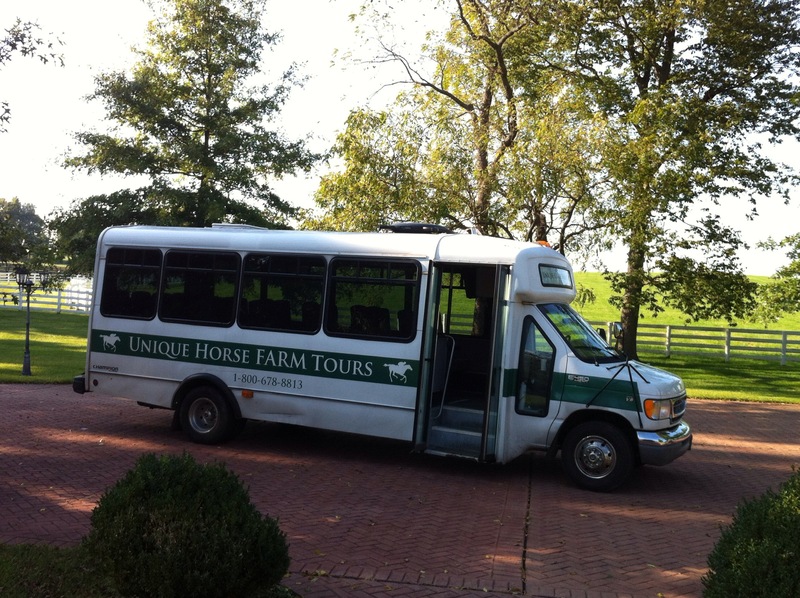 I booked a tour via the Kentucky Horse Park on the Unique Horse Farm Tours and unique it was. 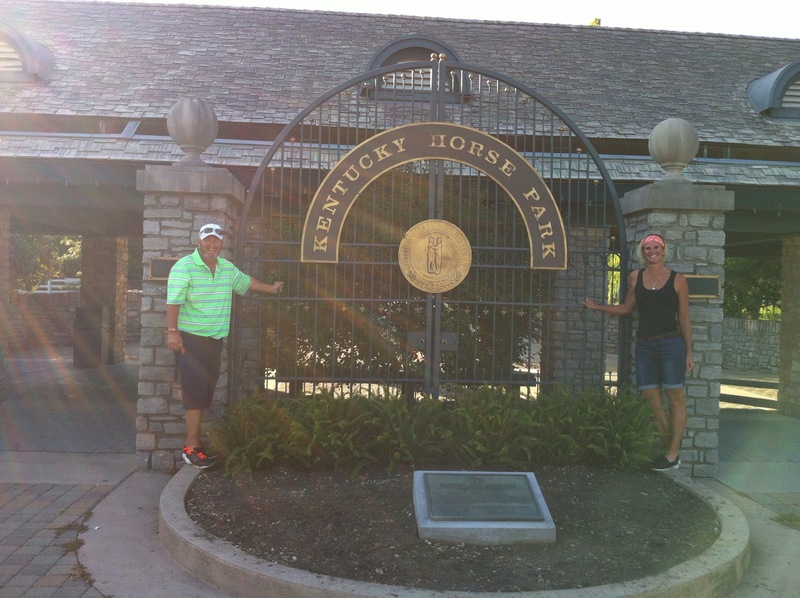 Our guide Shaun Washington picked us up from the Visitor Centre at the Kentucky Horse Park. He was a born and bred Kentuckian and a very jovial character. 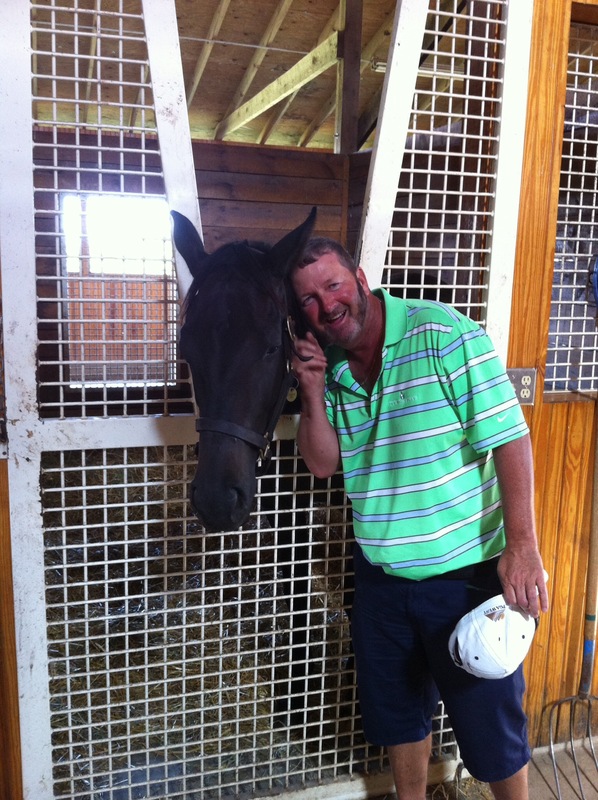 What he didn’t know about the horses, trainers and farm owners wasn’t worth knowing. Being non horse people it was all a bit foreign to us but extremely interesting. One of the first things Shaun pointed out was the black and white railing fences. Apparently the white paint is nearly six times as expensive as the black paint and the black paint lasts about three times longer. Being accountants we knew which one we would be going with. Steve asked the question – why have any white fences at all then? Apparently it is just a bit of a prestige thing and Shaun pointed out that most of the wealthiest horse farm owners have black railing fences – that’s why they’re wealthy! Shaun talked about some of the horse farm owners in the area – there are some wealthy people that own property and horses in this State although there really isn’t any money in horses. 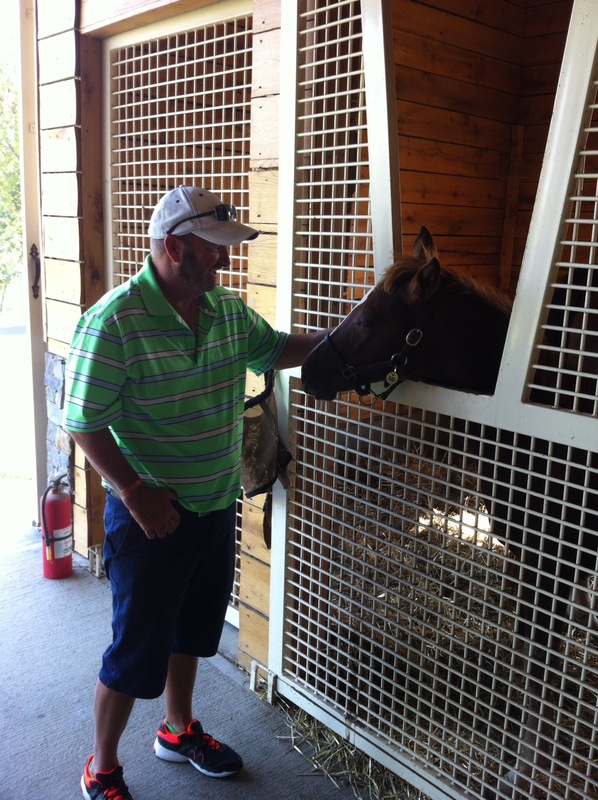 Most of the horse farm owners have made money elsewhere and due to a passion for horses they have invested in the industry. The first farm we stopped at was called Katierich farm and is effectively a hobby farm although it cost it’s owner about USD15 million. It’s owner made his money as a hedge fund manager in New York and named the place after his daughter (Katie) and his son (Richard). 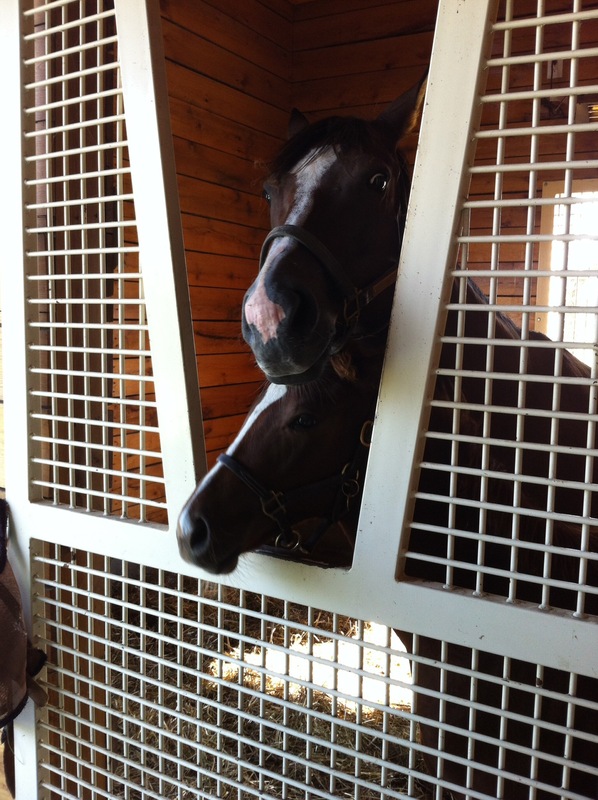 The farm employs about 30 people and has about 70 breeding horses and foals. These horses have better accommodation than some people. We went into the stables and were able to pat all the horses and foals. Steve had a lot of fun getting up close and personal with these beautiful creatures. 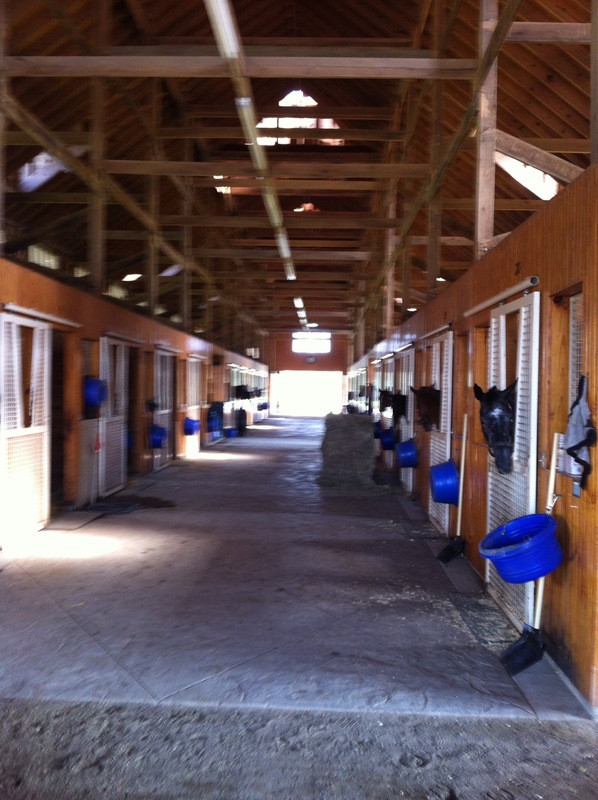 There were some very expensive breeding mares in these stables. The Kentucky Derby is a horse race held annually in Louisville, Kentucky, United States, on the first Saturday in May, capping the two-week-long Kentucky Derby Festival. The race is a Grade I stakes race for three-year-old Thoroughbreds with a length of one and a quarter miles (2 km) at Churchill Downs. Colts and geldings carry 126 pounds (57 kilograms) and fillies 121 pounds (55 kilograms). The race is known in the United States as “The Most Exciting Two Minutes In Sports” or “The Fastest Two Minutes in Sports” for its approximate duration, and is also called “The Run for the Roses” for the blanket of roses draped over the winner. It is the first leg of the American Triple Crown and is followed by the Preakness Stakes, then the Belmont Stakes. The Kentucky Derby has been run every consecutive year since 1875. A horse must win all three races to win the Triple Crown. In Shaun’s opinion Secretariat will be the best horse that he will see in his lifetime despite being ranked second behind Man o’ War in The Blood Horse’s List of the Top 100 U.S. Racehorses of the 20th Century. 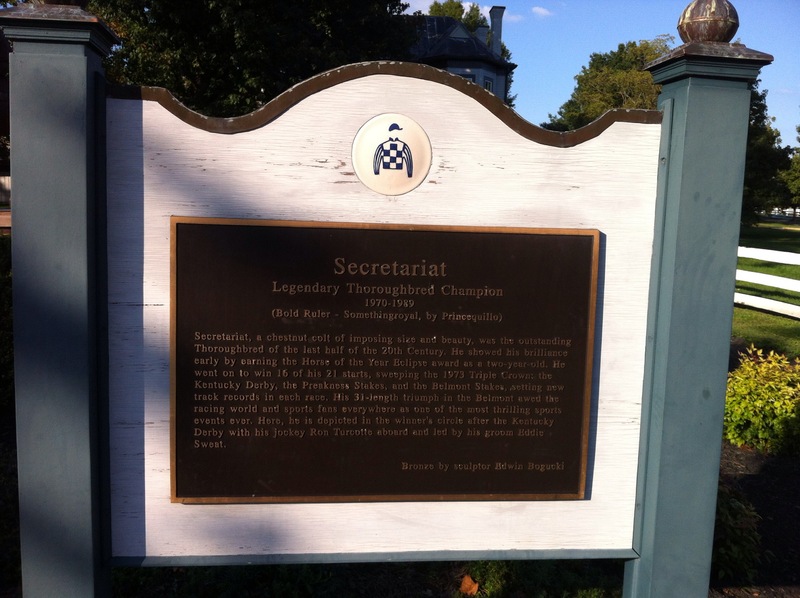 Secretariat (March 30, 1970 – October 4, 1989) was an American Thoroughbred racehorse that in 1973 became the first U.S. Triple Crown winner in 25 years. He set race records in all three events in the series – the Kentucky Derby (1:59 2/5), the Preakness Stakes (1:53), and the Belmont Stakes (2:24) – records that still stand today. We then went to another horse farm called Hurricane Hall owned by Brad Kelley a billionaire businessman who made his money in tobacco. He is the fourth largest land owner in the USA. 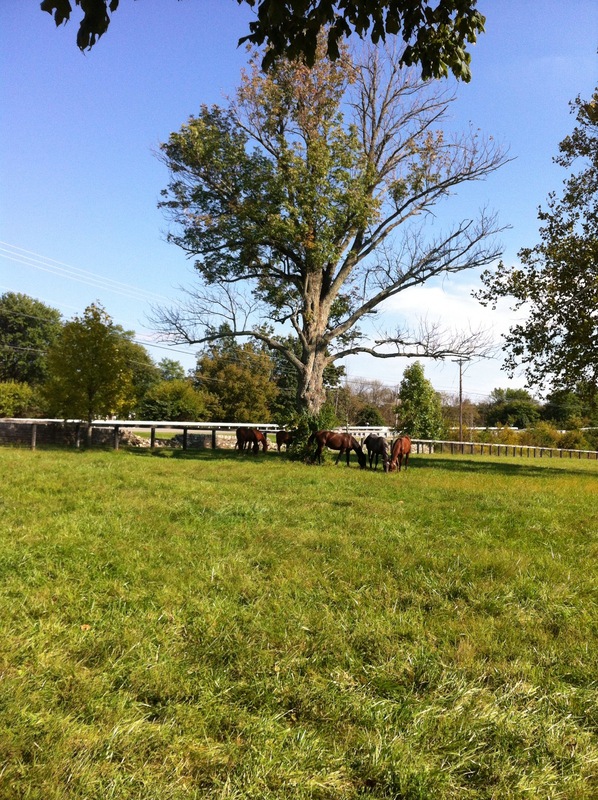 Here we got acquainted with some stallions and mares that were grazing in the paddocks. 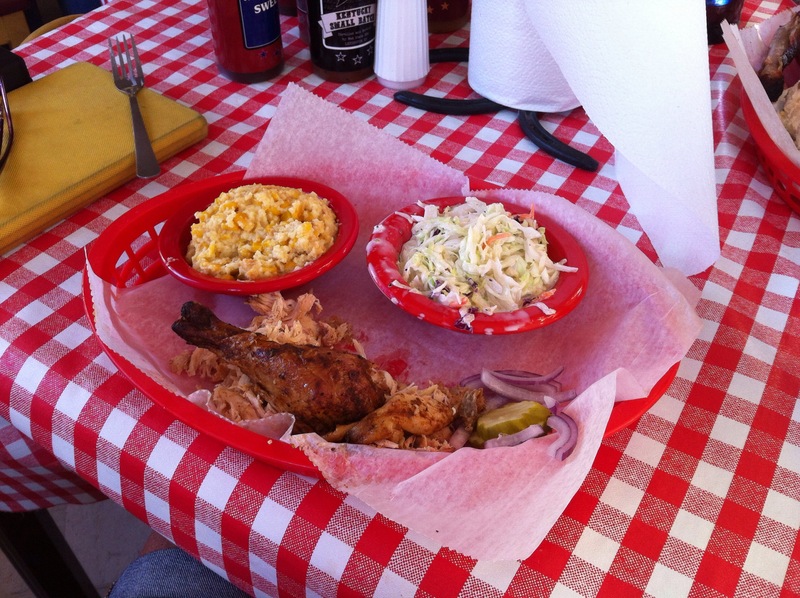 We then popped across the road to the Red State BBQ. Shaun wanted to shout the ladies on the tour a chocolate bourbon ice cream – it was pretty good : ) This place didn’t look much but Shaun couldn’t speak highly enough of the food they served – brisket, corn pudding, ribs. The staff were so friendly and even bought out a plate of brisket for the guys to try. I didn’t have any but Steve said it was delicious, so much so he wanted to come back for dinner. They cook it slowly for 14 hours and bourbon plays a role. Next door to the Red State BBQ was the Sunset Motel. Shaun told us you didn’t want to be anywhere near that place after sunset! It so reminded me of the places where Jack Reacher stays in the Lee Childs novels. Next stop on the tour was not listed in the brochure. 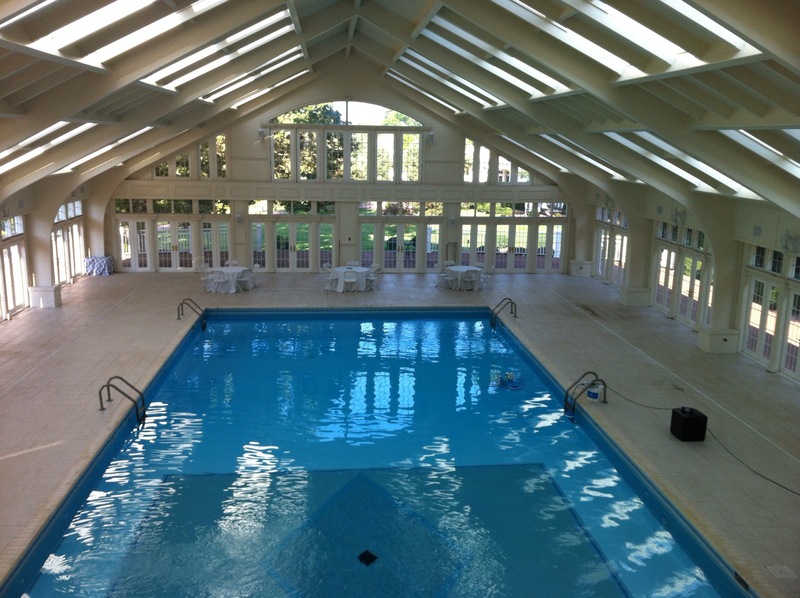 Shaun’s mate is currently looking after this huge house with a fancy pool house for a guy in New York. Apparently the guy in New York bought the place in the recession for USD3.2 million, spent about USD500,000 on it and put it back on the market for USD5 million. No takers so he lowered the price to USD4 million, still no takers so it is now on for USD3.8 million. Shaun’s mate is staying there rent free while it is on the market just keeping an eye on the place. 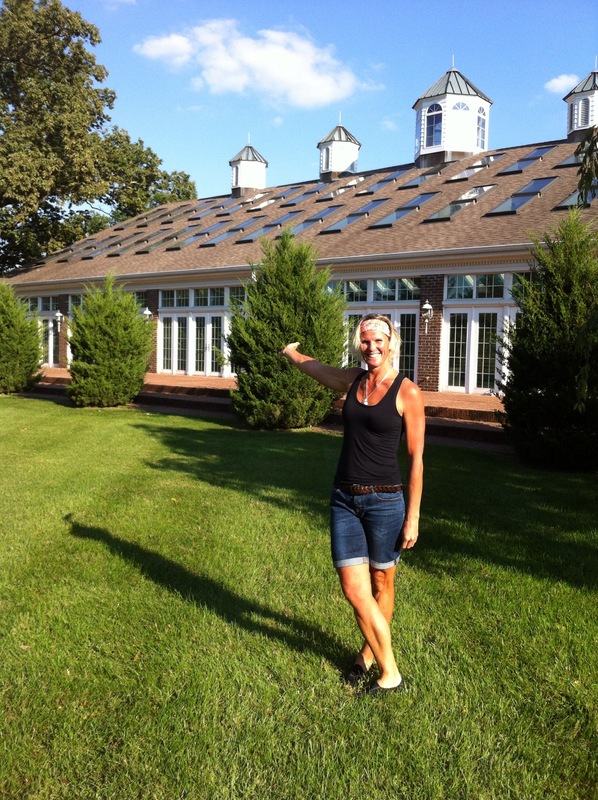 Shaun wanted to show us the pool house – it is huge. Shaun is apparently going to have his son’s 6th birthday party there. I’m not sure if the owner knows that his pool house is featuring on the Unique Horse Farm Tours or if it will soon be hosting a 6 year old’s birthday party! We didn’t go into the house (that would probably be pushing the boundaries) but it has 6 bedrooms and 11 toilets. 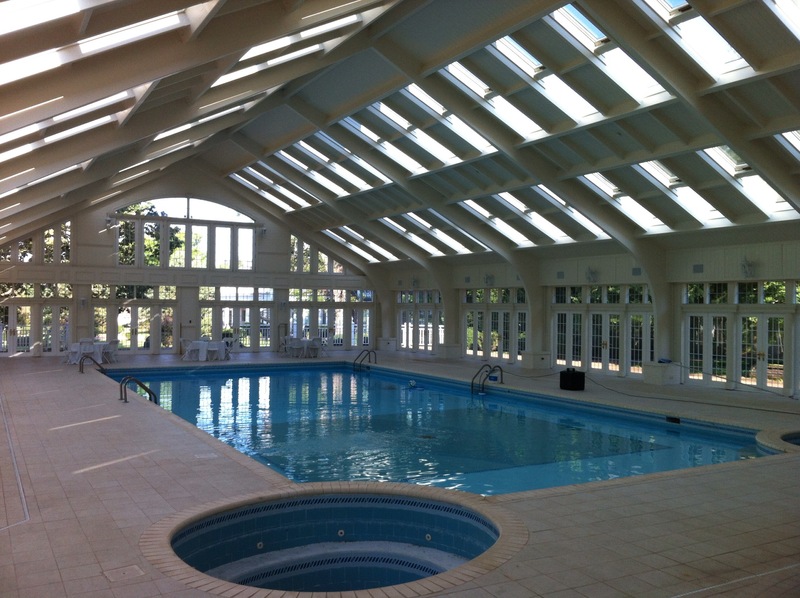 You could actually live in the pool house – it had a kitchen, bathroom, mezzanine floor and bedroom. Shaun sure was a character. He told us that he organises the monthly farm owners poker game where some serious money is played for. He does all the catering and tends the bar. He said depending on who wins he can take a tip of USD3,000 home at the end of the night. Given the winner is taking home about USD180,000 he thought the USD3,000 was a bit stingy : ) Buy in for the monthly poker game is USD50,000. Fact or fiction it is always good to listen to the locals spin a yarn. 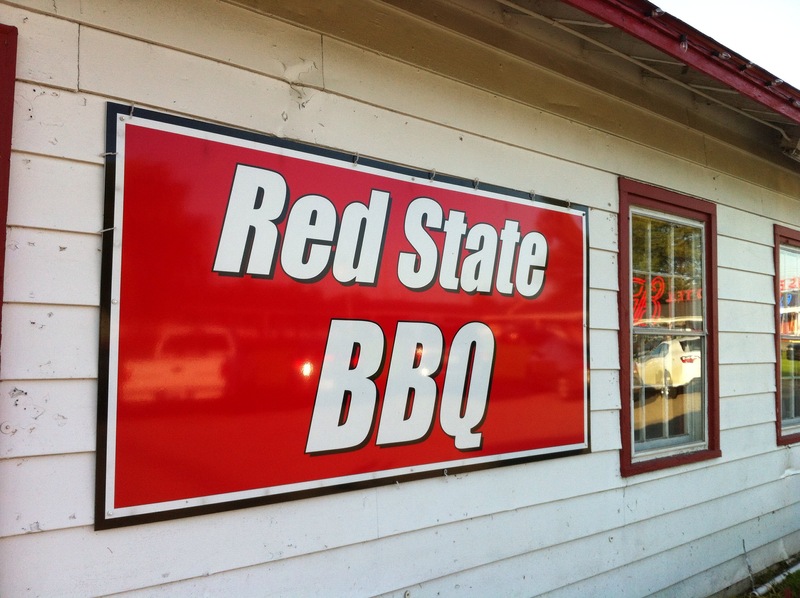 After bidding farewell to Shaun we decided to go back to the Red State BBQ for dinner. They had sold out of the brisket though so Steve settled on the ribs and I had the chicken plate with corn pudding and coleslaw. The corn pudding reminded me of Watties Creamed Sweetcorn – it was quite nostalgic. We also got some peach bread pudding which was like the old bread and butter pudding we ate as kids – it was a bit sweet for my liking but I’m pleased I took another trip down memory lane. Steve declared the ribs as the best he has ever had and trust me he has had a few. Kentucky, officially the Commonwealth of Kentucky, is a state located in the east south-central region of the United States. Kentucky is one of four U.S. states constituted as a commonwealth (the others being Virginia, Pennsylvania, and Massachusetts). Originally a part of Virginia, in 1792 Kentucky became the 15th state to join the Union. Kentucky is known as the “Bluegrass State”, a nickname based on the bluegrass found in many of its pastures because of the fertile soil. 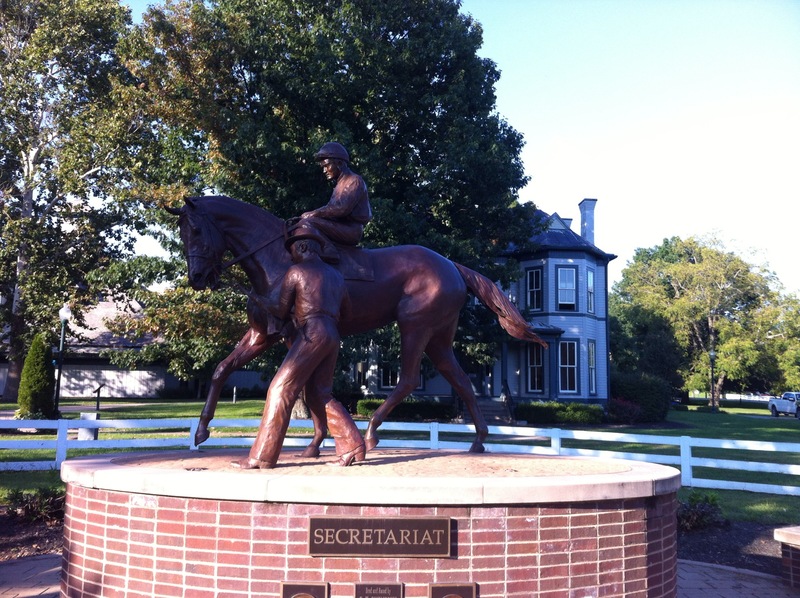 One of the major regions in Kentucky is the Bluegrass Region in central Kentucky which houses two of its major cities, Louisville and Lexington. It is a land with diverse environments and abundant resources, including the world’s longest cave system, Mammoth Cave National Park, the greatest length of navigable waterways and streams in the contiguous United States, and the two largest man-made lakes east of the Mississippi River. Kentucky is also home to the highest per capita number of deer and turkey in the United States, the largest free-ranging elk herd east of the Mississippi River, and the nation’s most productive coalfield. Kentucky is also known for horse racing, bourbon distilleries, automobile manufacturing, tobacco, bluegrass music, college basketball, and Kentucky Fried Chicken. 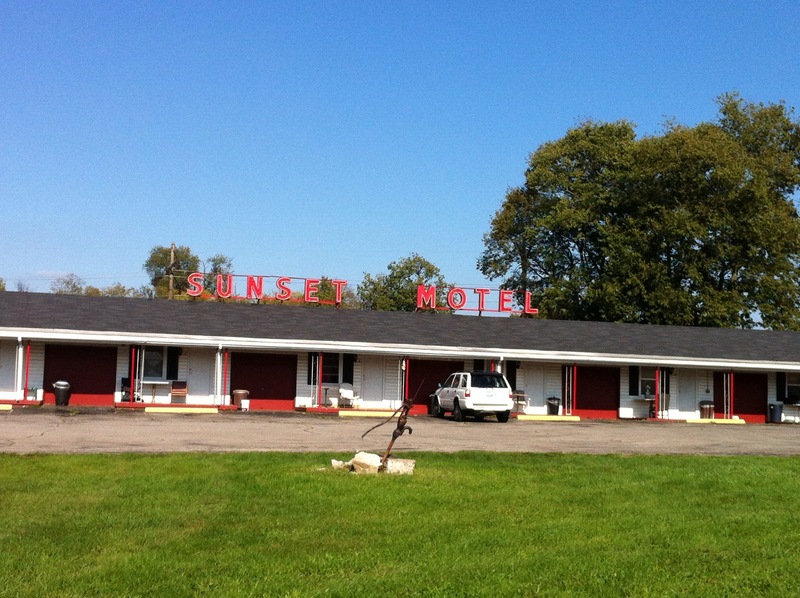 I read your blog while researching the Sunset Motel. I know Shaun. The story about the poker games is true. I remember the poker games from around 2000-2002 and there was some serious money involved.